Created in 1974 by George Couillaud in La Chaussée d’ivry, ARM is the historic site of the Group. 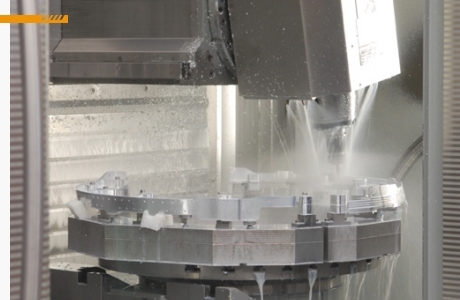 Our machining equipment’s are mainly made of four and five axes multi-pallets CNC which allows us to manufacture large-dimension parts; up to 3 600 mm in length. Our turning equipment is composed with multi-axis machines with up to eighteen axes, and is able to process 480 mm diameter's parts. We are used to work with aluminum alloys, armored steels, stainless steels, Inconel and titanium. ARM also has a dedicated workshop for the realization of complex assembling for the Aeronautic and Defense activities (up to 200 components put together on a same subset). Our main contractors intervene in the domains of the Aeronautic, the Defense and the Railroad.